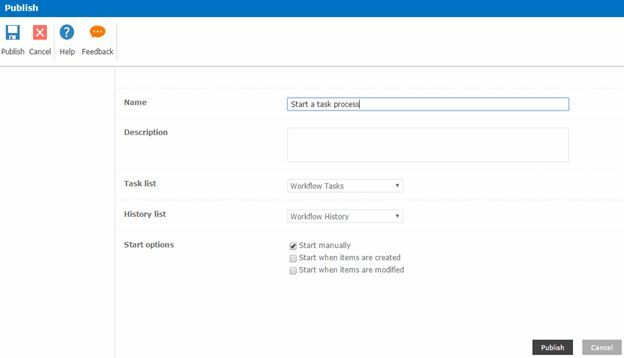 Welcome to an article on how to start a task process in SharePoint 2013 and Office 365 using Nintex Workflows. This article will display the action “Start a task process” so that all my developer friends don’t have to spend much time and effort while using this function in their projects. This action assists you to start a task process to one and many users using workflow. Let’s see the implementation of this functionality. 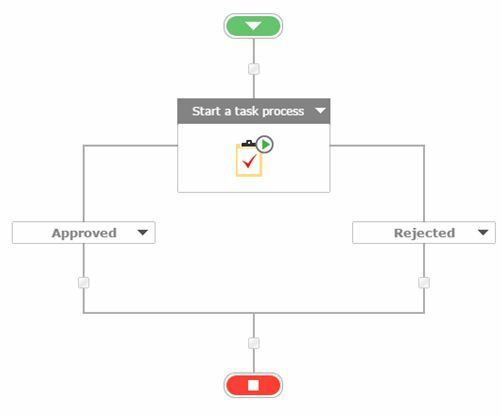 Add the action; “Start a task process” either by right clicks on the workflow or by dragging and dropping from the left toolbox. Participant: Assign the users whom you want to make as a participant to receive tasks. Task Title: Provide a title to the task. Description: Provide a description to the task. Due Date: Provide a due date to the tasks. Related Item: Select if it is a current item or an item in a different list or library. 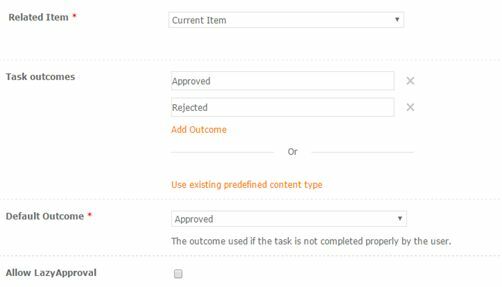 Task outcomes: You can choose the outcome of the task as ‘Approved’ or ‘Rejected’ depending on the outcome you want and you can even create custom outcomes. Default Outcome: You can select what should be the default outcome if the task has an error. Allow Lazy Approval: It allows you to reply in user language as approve or reject and the workflow will pick up the matching outcome. You can assign the task serially one at a time and parallel at once. Assign a task to each member within groups: When this option is checked, all the assignees will receive the tasks. Wait for task completion: You have to wait when checked, the workflow will pause until the task completes. You can choose the options and make the workflow to wait for all responses or first response or for specific response and for a specific percentage of a response. Configure the initial email option. Subject: Under the initial email options, specify the subject for the email. Email Body: Specify the body of the email. Configure the reminder email options if you have to send reminder. Send Reminder email: Select the option, if you want to send reminder emails. Subject: Provide the subject of the email. 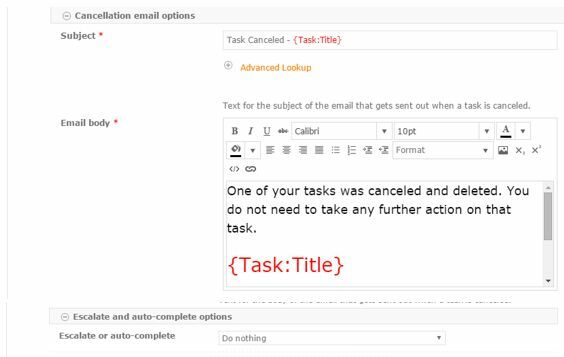 Configure the cancellations of the task email to be sent. Choose what you want to do when you have to escalate and auto complete options. Choose your task list where it should store the tasks; it will be Workflow Tasks by default. Choose your history list where it should store the history logs; it will be Workflow History by default. 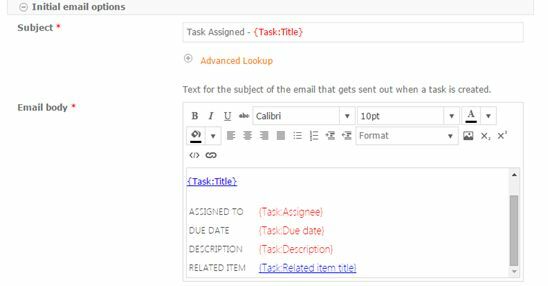 So in this article we saw how to start a task process using Nintex Workflows in SharePoint 2013 and Office 365. 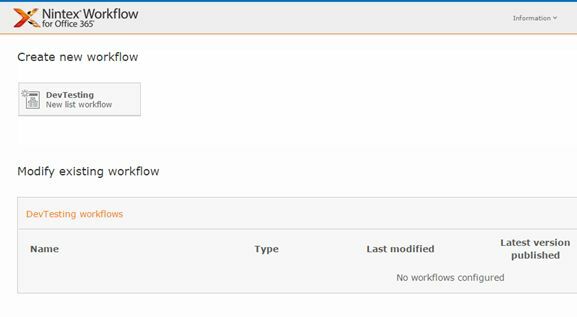 This action starts a task to a user or many users using Nintex workflows using various functionality. We will see more new articles on the actions of Nintex Workflows in the other parts of the article. Until then, keep learning!